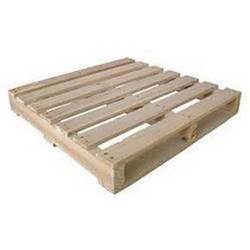 Pallets are flat structures that support goods in transport or loading. 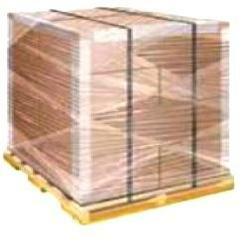 We offer durable Wooden Pallets with corrugation that are jolt and drop resistant. 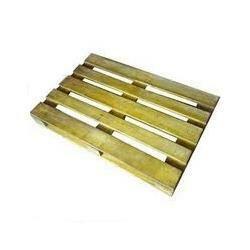 Wooden Pallets are available at very economical prices and can be customized to need. These Wooden Pallets for Transportation are flat structures particularly used as supporting element for loading and transporting the goods or merchandise. Wooden Pallets for Transportation are made up in accordance with the international quality standards using the finest quality raw materials. Our wooden pallets can be used for safe transportation of the goods as they are provided with corrugation that have jerk and drop resistance. We are offering Wooden Pallets for Shipping which we are giving to our client. Our range of Wooden Pallets are fumigated and delivered as per specification. These Wooden Pallets serve a variety of packing needs as they come in different thicknesses, provide the firmness for packing goods safely and protect goods from pressure in all directions while also affording protection from the environment. 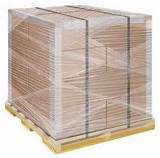 We are also manufacturer & supplier of Wooden Packaging Pallets which are basically used for ship industry. These Wooden Packaging Pallets are highly demanded by our clients. 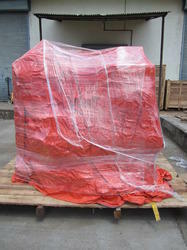 W e are giving this Wooden Packaging Pallet as per the specification of client.